Organisations that fail or refuse to embrace digital properly face a bleak future - it's do or die time for big corporations and small start-ups alike. 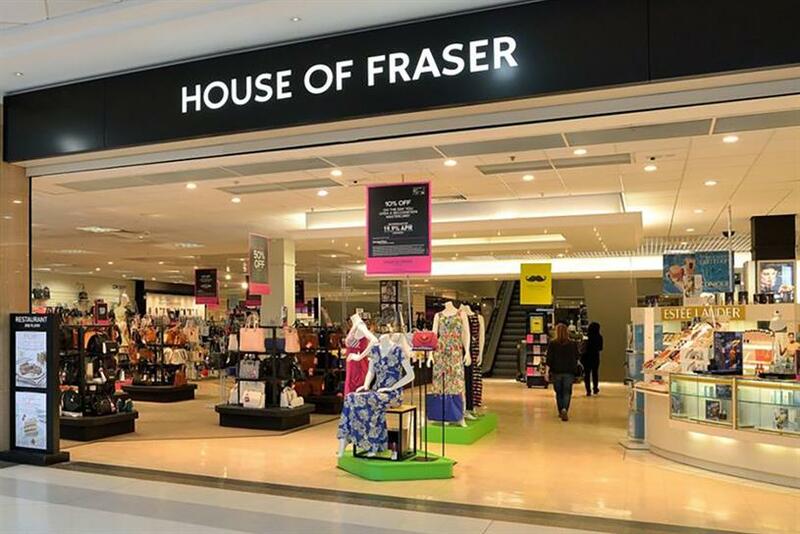 House of Fraser’s announcement today that it is going into administration in the face of poor performance again throws into sharp relief the fact that time is ticking for any leader who has not grasped the nettle and come to understand what ‘digital transformation’ means to their business. There is no doubt that their own lives have been digitally transformed – they likely wake up and check their phone within five minutes, see the torrent of emails and calendar invitations from international colleagues or perhaps even a few automated alerts from smart monitoring systems. They might divert their route to the office based on real-time traffic data fed into a navigation app, perhaps while catching up on a conference call. I suspect the weekly shop will not be traipsing around the supermarket aisles but ordered online – with the products they need automatically recommended based on past purchase history. Anything they forget they just ask Alexa to add it to the list. On the way home traffic’s tricky, they’ll miss Bake Off – no worries, just watch on catch-up, and order some food from that lovely little Thai restaurant on Deliveroo. In the UK today we’re in a weird in-between state of digital adoption. Some organisations have embraced technology and the evolving way people want to do business and some have resisted it or simply not recognised it as the imperative it is. This is particularly apparent in some categories. Take travel. You can start planning a trip with a flight search online – lots of real-time availability and routing information, smart filters to zoom in quickly on exact flights, mature APIs to share data, marketplaces and affiliate systems enabling revenue sharing all presented in a mobile-friendly interface with a slick user experience – lovely digital goodness. Then when you move to booking a hotel, you start to see the cracks appear. Sure, the bigger chains and forward-thinking boutiques have got it working but as you move to the mid-size groups and 10-room mom & pop places we’re back in the wild west of phoning up to confirm rooms, reading out credit card numbers, awaiting confirmations. Then if you move on to ferry and bus transfers you’re basically in 1990. This demonstrates that while it is possible to do business without embracing technology, it puts you at a competitive disadvantage. It pushes the burden of making the transaction happen on to the customer, which is not a good thing. The answer of course is the reverse: start with the customer, understand their needs and work out what you need to do from there – how it will impact each aspect of the business. In the digital economy, transparency is the norm. Customers expect to understand and see the value for all payments. They expect to pay on their terms when they want to. This means no business is immune to the changes that are happening, and quite simply it is do or die time. Over the coming five years all those businesses that have not learned to leverage customer data to provide better services and optimise their offering will find themselves struggling. While technology often enables easy entry to new start-ups, over the medium to long term it typically results in consolidation, as it becomes easier for businesses to acquire smaller competitors and own more market share. Digital transformation is not a thing you ‘do’ to your business, like adding a new process, or department – rather it’s something that your business becomes. It’s a one-way change that will affect everything from the way you interact with customers to the way your staff get their jobs done. The trick is working out where to start: my advice is to do some simple ease vs impact analysis on proposed initiatives. Most aspects of the business can be transformed to leverage the new opportunities afforded by technology, but which will shift the needle the most and how difficult and expensive will it be to do it? Applying a critical lens and asking the tough questions about value will help you work out where to start. Is it a new way for customers to order from you to enable growth or is it about managing the demand on your people and assets to smooth out operations and increase capacity? How to get there – tech or talent? Where to invest? Digital transformation spans both cultural shift and technology revolution, so you need to address tech and talent. New tech without the buy-in, training and willingness to make it work will inevitably fail. Bring in new talent used to great infrastructure and it will just frustrate and alienate the new blood. It makes sense to tackle self-contained units bit by bit – changing process, technology and if needed, people. If you look at retail success stories like Argos and John Lewis, they’ve been able to do this. For example, Argos really focused on its IT and operations as the drivers of change to deliver a multichannel business that fundamentally enhances the c. 750 stores it operates. Meanwhile John Lewis, with initiatives like JLab, is creating an environment for experimentation where it can partner with and explore new tech and retail solutions outside of the daily operational turbulence; learn from its pilots and then scale or fail quickly. The most important step is the first, then it’s the next. Make one of them today.